Netflix is a treasure trove of great documentaries and I was delighted when a friend directed me to the ‘First Monday in May’, directed by Andrew Rossi. The title refers to the long-standing Met Gala annual date, and the 90-minute film is a must-watch for any event professionals that want to get a glimpse into behind-the-scenes planning of one of the most prestigious events of the year and its accompanying art exhibition. The Met Gala is the annual fundraising event for the benefit of the Metropolitan Museum of Art’s Costume Institute in New York City. It recognises the opening of the Costume Institutes annual exhibition and first took place in 1971. Since Editor in Chief of American Vogue, Anna Wintour, took over as Chair of the Met Gala in 1995, its popularity has rocketed even further. With the support and backing of US Vogue and its esteemed following of designers, supermodels, and more often than not, celebrities, the Met Gala has developed into the high fashion event of the year, raising millions of dollars to ensure the continued development of the Institute. At the time of filming, the associate curator of the Costume institute was Andrew Bolton, and it is his vision that drives the annual theme. Early in the documentary, Bolton is described as a ‘creative genius’ by Anna Wintour which (if the The Devil Wears Prada story is to be believed) is high praise indeed and so you know he is the man to watch. Being from Lancashire myself, it also delighted me to find out that Bolton was born and raised in Blackburn, a mere few miles down the road from my own home town. In my eyes, he is the ultimate northern lad done good! Even working within the sector, organising an event of this scale, magnitude and headline-making capability is almost too much to get your head around. A seemingly infinite budget, an unrivalled guest list, a truly exceptional venue; as an event manager, it is everything I would wish for and more. The dream job! The documentary aired in 2016, and focuses on the work that went into the 2015 Met Gala and Costume Institute exhibition, of which the theme was ‘China: Through the Looking Glass.’ This was one of the Met’s more controversial, yet highest attended exhibitions in years, and it explored the Chinese inspired Western fashions and the way China has been depicted by the West via Fashion and Film over many years. One of the documentary highlights for me was seeing the continued guest list and seating plan reshuffles. With such an exclusive reputation, yet such an overwhelming demand for invitations, it was interesting to see that even Anna Wintour has problems with guests. 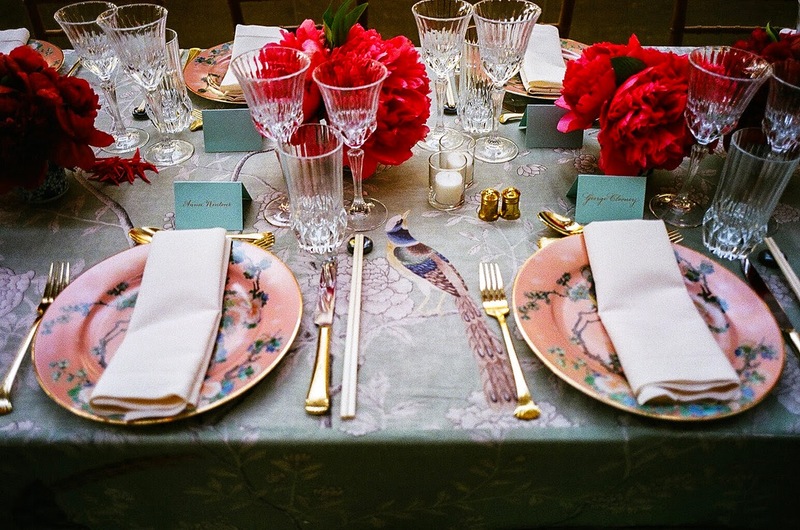 We get a glimpse into the private Manhattan home of the Editor in Chief when table settings are being discussed. Place cards, table wear, utensils, glasses, napkin shades, floral arrangements, chair types; not a single aspect is left un-inspected, and every choice is scrutinised. Even the day before the event, we see last minute seating changes as final walk rounds see Wintour herself directing table moves and chair reshuffles.It is this kind of usually un-seen footage that show the level of involvement and eye for detail that the Vogue Editor in Chief clearly applies to all aspects of her role, and is something that event managers everywhere will be familiar with. Flowers play a huge part in the Met Gala, and it is not so much floral arrangements that are specifically designed, as huge floral installations. What will be waiting for guests at the top of the stairs as they enter the Great Hall is almost as anticipated a sight as the dresses seen on the red carpet. Over the years there has been giant double helix, larger than life costumes and ballgowns and even live peacocks caged within floral dressing! 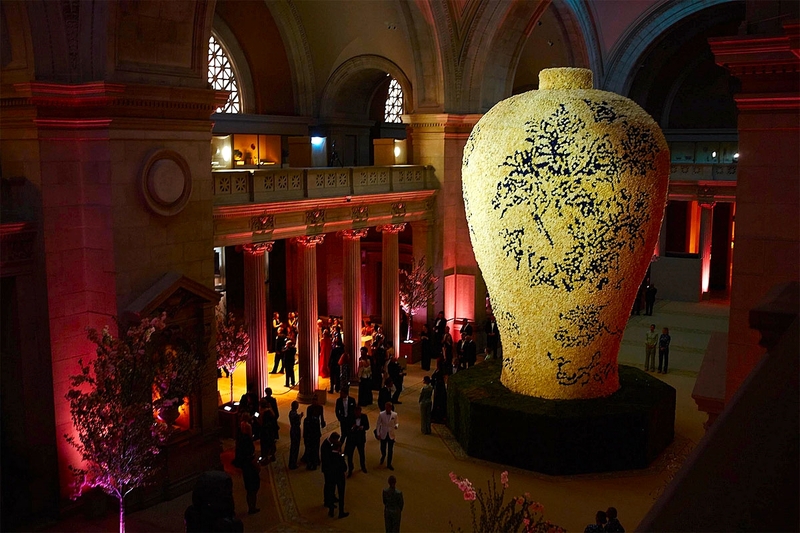 The guests at the 2015 were met by a ‘porcelain Chinese vase’ made from hundreds of thousands of blue and white roses. 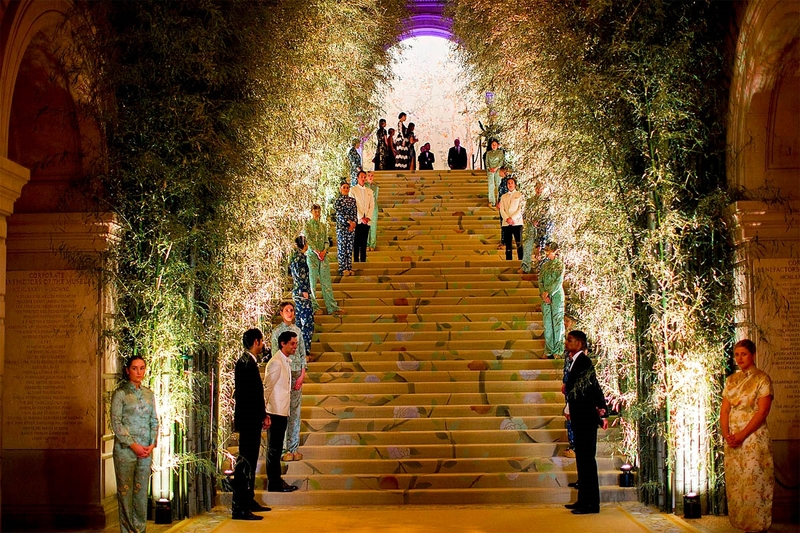 The floral event designer that has looked after the Met Gala since 2007 is Raul Àvila, and the documentary explains how he and his team turn around the extraordinary space virtually overnight. That, combined with a bamboo forest lined stairway and the countless floral displays on tables and throughout the main space, it really is venue transformation at its absolute peak! It’s the ultimate example of what prior planning and dedicated event professionals can do to make something happen for the client. Following the 2015 Met Gala, Bolton has since been promoted to Curator in Chief of the Costume Institute and of course the powerhouse that is Anna Wintour remains the Editor in Chief of American Vogue, Chair of the Met Gala, and the ultimate Event Planner. Rating: * * * * * 5 stars. The documentary strikes the right balance between revealing industry secrets, to displaying celebrity wardrobe choices and so for me, this is a must-watch for anyone working within the event industry, or with an interest in high fashion. It can be found within the Fashion Documentaries category on streaming service Netflix.